Kebin Hea, Hong Huob, Qiang Zhang，The urbanization of China accelerated with the urbanization level increasing from 18% in 1978 to 31% in 1999, and is estimated to be 48-50% in 2020,In 2020, the vehicle population in Tokyo, Seoul, Beijing and Shanghai will be 5.34, 3.06, 3.03, and 1.73 respectively. In Beijing and Shanghai, the number of car will be 71% and 69% respectively in 2020,increasing from 44% and 30% in 2020.The fuel economy of cars and small busses in 2020 will be 70% and 60% improved from current level respectively. China only has eight cars on the road for every thousand residents. According to The Ecologist, by 2020, China will be guzzling an additional 8m barrels of crude a day. China expects 800 million urban residents by 2020, and is rapidly building more cities; 400 are planned by 2020. Sichuan, China's most populous province with more than 100 million people, is developing nine new cities by 2010 - each for more than one million people. By the year 2020, some 89 percent of Beijing residents will live in the suburbs of the Chinese capital, according to experts from a population forum convened in Beijing recently. By 2020, the total population of Beijing will rise to 17.64 million. The urban population will drop to 1.93 million - just 10.94 percent of the total population - while the population in the near suburbs will increase to 10.33 million, about 58.56 percent of the total. Recent urban planning has brought a great impact on the population change. China has an ambitious plan to reach zero population growth by 2020 to level at 1.5 billion people. by Laura B. Shrestha, China alone has 87 million persons (6.8 percent of its population) age sixty-five and older; this will increase to 167 million (11.5 percent) by 2020. Co-founder Saskia Vendel agrees: "Right now, 38 per cent of China's 1.3 billion populace (or about 494 million people) live in the cities. But this number is likely to at least double, and could triple, by the year 2020." China will have more than 23 million men unable to find wives by 2020 because so many more boys are being born than girls, according to a study. By 2020 it is estimated that we will have a population of 240 million elderly (60+) people – a growth of 90% and the highest in the world. Woman outlives man. Above the 65 years of age the number of older women grow faster than older men in 2020. Population density in China by 2020 is 149 people per sq km opens the possibility to enrich natural resources and use labour force to add its value. the Heilongjiang population will go through three stages: low growth, zero growth and negative growth before the 2050s. It is estimated that the Heilongjiang population will grow negatively, after 2020. By the year 2020, China will have about 30 million unmarried males aged 15-34. Currently, there are 117 boys born for every 100 girls, a result of the traditional preference for boys and the one-child policy. Lin F, Liu J. It is anticipated that the total working age population would reach 774.23 million by the year 2000 (410.97 million males aged 16-59 years and 363.55 million females aged 16-54 years) and exceed 893 million by 2020 (483.55 million males and 409.50 million females). By 2020, the urban vehicle population is expected to be 13 to 22 times greater than it is today. 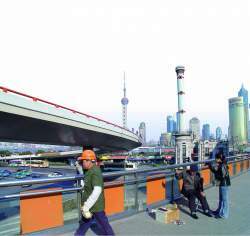 By 2020, Guangzhou will complete 450 kilometers metro lines. Feng Xingfu, Vice General Manager, Beijing Public Transport Holdings, Ltd by 2020 the total number of travels in Beijing will reach 52 million to 55 million per day. The ratio of travels transported by public transport will increase from 27% in 2000 to more than 50%. By 2020, the metro length in aggregate would reach around 500 kilometers in Guangzhou and 250 kilometers in Shenzhen respectively, representing an investment market of $38 billion and an export market of $4 billion. At least 100 billion yuan ($12 billion) will be needed annually to expand the rail network from its current 75,000km to the planned 100,000km by 2020. China will purchase more than 1,900 aircraft by 2020, the government announced. The head of General Administration of Civil Aviation of China Yang Yuanyuan also said China is targeted to become third in the world by 2020 in terms of aviation passenger and cargo turnover. It currently ranks sixth in the world. He also said the country will support at least three airlines which will rank among the world's top 20 in terms of aviation industry turnover by 2020. According to the Railway Network Planning of Middle and Long Term passed at the beginning of 2004 by Chinese government, in 2020, China will construct special passenger lines of “four vertical and four horizontal lines” with a full length over 12 thousand kilometers. By 2020, Chinese airlines will have over 2,200 planes, and China will become the second largest civil-aviation market in the world, next only to the United States," said Hao Fude, president of Boeing China Inc. From 2001 to 2020, China's demand for civil aircraft will amount to 1,764 planes, with a total value of US$144 billion, the report said. By 2020, the scale of the Chinese fleet will be quadrupled and the number of passenger planes will be more than 2,209, accounting for 7 percent of the world’s fleet. The report also noted that 78 percent of the aircraft flying in the domestic market in 2020 will be feeder-line and single-aisle planes, 19 percent will be medium-size double-aisle planes, while Boeing 747s and even larger planes will account for only 3 percent of the total. By 2020, due to the rapid expansion of China’s domestic market, the number of flights per week will top 64,000, including those to and from Hong Kong and Macau. CHINA’S central government has approved plans to build a 600 kilometre, high-speed rail network by 2020 that would connect nine major Pearl River Delta cities, reducing travel time between any two including Hong Kong and Macau to an hour. World Travel Organization predicts that by year 2020, China will become the number one travel destination in the world. Last updated at: (Beijing Time) Sunday, October 06, 2002, By 2020, China is set to become the world's largest tourism destination and the fourth major source of tourists, the World Tourism Organization predicts. According to the forecast by WTO, China will be the top international destination country in the world with about 137 million international arrivals by the year 2020, and with over 1 million outbound visitors a year, By 2020, the total tourism output will be RMB 2500 to 3600 bn yuan, accounting for 7.9 to 11.4 percent of China’s GDP. The plan has been approved, and detailed implementation measures have been developed by the CNTA. Energy Industry Association suggests that by 2020 China could achieve a wind energy capacity of 170,000MW with the right policy measures. Wind Force 12, May 2004. China’s annual natural gas consumption will reach 160-210 billion cubic meters by 2020; today China has 1,300-1,600 billion cubic meters of natural gas reserves. Coal consumption in 1997 was 1,030 million short tons and in 2020 will reach 1,275 million short tons an annual growth of about 1 percent. Over 90 percent of coal used in 2020 will be in electricity generation. Jeffrey Logan, Senior Research Scientist Over the past five years, China has announced a major shift in natural gas policy. Largely ignored in the past, the central government wants gas to account for at least 10 percent of total energy demand in 2020, mainly for environmental reasons. China’s economy is expected to continue expanding robustly through 2020, with average GDP growth of 6 to 7 percent. Under a moderately progressive scenario, China’s overall energy use is expected to increase by just over 80 percent by 2020. Li Zheng, Ni Weidou, Zheng Hongtao, and Ma Linwei, It is estimated that, by 2020, China can produceup to 2.0 billion tonnes (Gt) of coal per year. As yet, oil, natural gas and renewables such as wind barely feature in the electricity mix. But by 2020, according to official projections, gas-fired stations could be meeting 15% of China's electricity needs, while nuclear power may have expanded to around 5%. And thanks to a law passed in February this year designed to promote renewable energy, wind and other renewables could account for 10%. In short, if current trends hold, by 2020 China is likely to emerge as a formidable multidimensional regional power as it continues to trade quantity for quality, increase defense spending, pursue innovation, and mature its industrial base. Such a capability is likely to put China in a much stronger position to pursue its interests and perhaps to threaten East Asia. But it is unlikely to be able to catch up with the United States across the board and on a global basis before 2050. The Shanghai Port Administration has predicted that Shanghai port, currently ranked third in the world in terms of cargo volume handled after Hong Kong and Singapore, will become the world's largest handler by 2020. By 2020 China aims to have 35 percent of household energy consumption sourced from natural gas. By 2020, China will not be able to supply itself with oil, iron, steel, aluminum, sulfur, and other minerals. By 2020, China will have overtaken Japan as the world's second biggest economy. It may even have started to rival the US in terms of the hard power of its military. China has put forward that by 2020 its GDP, calculated at the current exchange rate, will quadruple that of 2000. Jonathan S. Landay Knight Ridder Newspapers Posted on Thu, Jan. 13, 2005, The world of 2020 is likely to be one in which Asia is the main engine of the global economy, India and China are major powers and al-Qaida-inspired Islamist movements have spread to Muslim communities outside the Middle East, a new U.S. intelligence report said Thursday. By 2020, China's gross domestic product, the total value of goods and services, will be greater than that of any Western country except the United States, and India's GDP will have overtaken or will be about to overtake European economies. If China maintained this year’s 8% growth for the next 20 years, it would reach the Party Congress’ new goal of quadrupling national income by 2020. By 2010, China would have over 500M middle class consumers - & become world’s largest consumer market. By 2020, Chinese incomes would be $10,000 per capita. Thus, China would achieve Deng's target of matching South Korean income levels 30 years ahead of schedule. By 2020, China would have 1.5 B people earning substantial disposable incomes. (with 20% of them owning a private car!) This would make China world’s second largest exporter and importer after USA, with purchasing power larger than all Europe. Wu Xiaoping, Vice Chairman of China's insurance regulator predicted in June 2004 that China's insurance premiums would reach RMB 3 trillion (US$363 billion) by 2020. Industry experts estimate that by 2020 China’s safety and security market will reach USD 30 billion. From September 11, 2001 through 2004, the Chinese government has invested USD 130 million to cope with anti-terrorism security issues, many involving air travel. In the next 20 years, China could surpass Japan as the second largest trading nation, and between 2020 and 2030 the People’s Republic could emerge as the world’s biggest economy. IDG will establish a new $150 million fund in China in the first quarter of 2005. IDG plans to invest US$2.5 billion in China by 2020. Kebin Hea, Hong Huob, Qiang Zhang The urbanization of China accelerated with the urbanization level increasing from 18% in 1978 to 31% in 1999, and is estimated to be 48-50% in 2020,In 2020, the vehicle population in Tokyo, Seoul, Beijing and Shanghai will be 5.34, 3.06, 3.03, and 1.73 respectively. In Beijing and Shanghai, the number of car will be 71% and 69% respectively in 2020,increasing from 44% and 30% in 2020.The fuel economy of cars and small bus in 2020 will be 70% and 60% improved from current level respectively. Tokyo 13-14 January 2005, In recent years, China has emerged as the foremost proponent of creating the so-called East Asian Economic Community by 2020. the Organization for Economic Cooperation and Development (OECD) predicts that China’s gross domestic product may account for one fifth of the world’s total in 2020, surpassing the US (11%) and Japan (5%). Jikun Huang, Cunlai Chen, In order to provide a long term prospects on China’s food security under a free trade regime, we project China’s food supply, demand and trade toward 2020 under a free trade scenario without and with the progressive improvement in agricultural productivity enhancement investment. Most growth will occur in developing countries, which will account for 79% of food fish production in 2020. China’s share of world production will continue to expand, while that of Japan, the EU, and former USSR will continue to contract. Real fish prices will rise 4 to 16% by 2020, while meat prices will fall 3%. Poultry consumption in developing countries is projected to grow at 3.9% per annum through 2020, followed by beef at 2.9% and pork at 2.4%. by Chi Hung KWAN, Since the initial stage of xiaokang has basically been achieved, Jiang Zemin put forth the target of quadrupling GDP from 2000 levels by 2020 so as to achieve a xiaokang society in an all-round way. China's per capita GDP in 2020 would just reach $3,000 based on 2000 prices and foreign exchange rates, a far cry from the roughly $30,000 level of industrial countries today. Thus, attribution of GHG abatement is inherently speculative, as it involves assumptions about the mix of household cooking fuels which will prevail in China in 2020. People’s Daily, 2005-05-09 00:32:25 XinhuaEnglish, According to the Beijing City Master Plan 2004-2020, Beijing has planned 11 new towns including Tongzhou, Shunyi and Yizhuang etc. These will relieve the population pressure on central areas. Beijing plans to reduce the current population in old city from 1.65 million to 1.1 million by the year 2020. Li Shantong, Director of the Development Strategy and Regional Economy Research Department under the State Council Development Research Center, Urban and rural income Between 1980-2000, China’s urban per-capita disposable income increased by 5.7 percent, and rural per-capita net income grew by 6.4 percent annually. By 2020 when GDP quadruples that of 2000, urban per-capita disposable income would rise by two-fold to 20,000 yuan ($2,415.46) and rural per-capita net income by 3.5-fold to 8,000 yuan ($966.18), calculated based on the prices of 2000. Beijing’s corridor is on track for completion later this year, and the city announced plans for over 300 kilometers of additional BRT lines by 2020. The vast region's water supply, sewer pipe, road system, monorail system, bridges, and other infrastructure will be constructed in 5-year phases until the year 2020. By 2020, the Engel coefficient is expected to drop from 39.4 percent in 2000 to below 30 percent in the city, from 49.1 percent to below 40 percent in the countryside, and to at least 50 percent for one fifth of the population with a minimum income. Between 1980-2000, Chinese laborers moved to non-agricultural sectors at the rate of 0.94-percentage point annually. If the figure continues in the future 20 years, laborers in non-agricultural sectors in 2020 should reach 70 percent. According to international practice, the proportion of employment in non-agricultural sectors could be around 60 percent when per-capita GDP stands at about $3,000. Ya-Hwei Yang ,To become an economic powerhouse, China resumed membership in the International Monetary Foundation in April 1980, the World Bank in May of the same year and later became a member of the Bank of International Settlement. It then joined the World Trade Organization at the end of 2001. Yi (2000) and other scholars expect that by 2020 China may achieve full integration with the international trade and financial system. Jiahua Pan，The current size of the Chinese population is 1.3 billion and it is projected to reach 1.45 to 1.85 billion in 2020. Energy demand is projected to reach 3.1 billion TCE in 2020, at a very moderate growth rate of 3.79 percent during the period between 2000 and 2020 , as compared to 7.2 percent for growth of the economy as planned. SIA launches Nanoelectronics Research Initiative (NRI) to accelerate and augment research for the successor to the current mainstream semiconductor technology, CMOS, which is expected to hit physical, technological and economic limits by 2020.
by 2020, China will account for 10% of the world’s total trade. Ren Guoliang, a 23-year-old Aids activist, “In 2020, I believe China will have more democracy, that there will be better policies for care and treatment of Aids. Civil society will have matured and we'll be more open about the disease, which will help to control its spread." BMJ 1997;315:440-441 (23 August)，In developing regions over half the men are current smokers and cigarette consumption is rising. Already tobacco prematurely kills an estimated three million people worldwide each year and this will rise to 8.4 million deaths annually by 2020. Ren Zhenghong，By 2020, it is projected that three quarters of all death in developing countries could be ageing-related. The largest share of these deaths will be caused by noncommunicable diseases (NCDs), such as diseases of the circulatory system (CSDs), cancers and diabetes. Lynn Smaha, MD, PhD The World Health Organization estimates that cardiovascular disease and stroke will be the leading cause of death and disability worldwide by 2020. With China making "progress" toward the same eventuality, it is easy to see how this prediction can come true. WANA experiencing a decline to 1 million malnourished children and China reducing the number of malnourished children to 3 million in 2020. The research shows that the traditional developing model will threaten the sustainability of eco-environment and economic development, to this challenge, the intensive urbanization policy should be conformed to, so by the end of year 2020, As Chinese government has brought forward two important development goals (one is that the Chinese people on the whole will have enjoyed a well-off standard of living in 2020, and the other is China will realize their aim of modernization in 2050), so Western China should protect eco-environment as well as keep on developing economy. been planted in the area, the official said. Professor Lei Hengshun of the Yangtze Technology and Economy Centre has warned that large stretches of the river could be dry by the year 2020. China also is important to any effort to curb global emissions of greenhouse gases, as it is projected to experience the largest absolute growth in carbon dioxide emissions between now and the year 2020. Chinese government has set a target to meet 12 percent of its power generation capacity from renewables by 2020. A portion of this new capacity will come from wind. In May, the three groups launched the report "Wind Force 12 - China," an industry scenario which showed that by 2020 China is capable of installing 170 gigawatts of wind power, delivering annual savings of 325 million metric tons of the greenhouse gas carbon dioxide and creating hundreds of thousands of jobs. The coverage rate of safe and clean water in China was 75 percent in 2000, while the world’s average level was 81 percent. 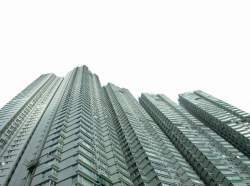 To meet the requirement to build a moderately prosperous society, the rate must reach 100 percent by 2020. In 1998, the output of kg-coal equivalent was $0.65, compared with the world’s average of $2.32. Though the figure rose to $0.82 in 2000, it still lagged behind the average world level. But China’s technical innovation will hopefully drive the figure to $2.4 by 2020. By 2020, about 550,000 Chinese will be dying prematurely of chronic bronchitis from airborne pollution, and tens of millions will be affected by respiratory distress, Economy writes. China's Academy for Environmental Planning estimates that by 2020, health costs associated with pollution will slash more than 10 percent off China's gross domestic product. As we will show, the best available evidence suggests that approximately 4,000 people suffer premature death from pollution-related respiratory illness each year in Chongqing; 4,000 in Beijing; and 1,000 in both Shanghai and Shenyang.2 If current trends persist, we project large cumulative losses in human life through 2020. Beijing could lose nearly 80,000 people, Chongqing 70,000 and other major cities could suffer losses in the tens of thousands. In the first, air and water pollution levies are both increased by 5% annually. This leads to a fourfold increase in the real levy by 2020. A second scenario increases levies by 10% annually, leading to a hirteenfold increase by 2020. They range from demonstrating efforts towards slowing its greenhouse gas emissions growth at some point between the first commitment period and 2020 to committing to a combination of a targeted carbon intensity level with an emissions cap on a particular sector around or beyond 2020. According to The River Runs Black, an outstanding book by Elizabeth Economy, a China scholar at the Council on Foreign Relations, five of China's biggest rivers are "not suitable for human contact." China's wastewater pollution may increase as much as 290 percent by 2020. World Bank, Clean Water, Blue Skies in China 2020 China’s Environment in the New Century, September 1997. DING YIHUI: We estimate that between 2020 to 2030, China's emission of carbon dioxide will probably increase greatly. By then it will be hard to tell who is the largest emitter, China or the United States. In 2020, China will produce a projected 53 million metric tons of fish for food, a 59 percent increase over 1997 production levels. This will account for 41 percent of global fish production. China imported 685,000 metric tons of low-value food fish in 1997, but is projected to export 711,000 metric tons of that commodity by 2020. Per capita food fish consumption in China is projected to climb from 26.5 kilograms per person per year in 1997 to 35.9 kilograms in 2020. This is roughly twice the projected average global per capita consumption of 17.1 kilograms in 2020. Total consumption of all food fish in China will increase from 33.2 million metric tons in 1997 to a projected 52.5 million in 2020, a 58 percent increase. By 2020 China will require higher education places for 20 million prospective university students. Jianyang City，as a county-level city with a population of 140,000，should have a large-scaled and high-standard elementary education school to meet the need of our young generation's enjoying of top-grade education. Ministry of Education puts forward an aim to popularize high school education in 2020. The university will make great efforts to fulfill the strategic goal towards 21st century, namely, the New HUST will be developed into an internationally recognized university by 2020; and by 2050, when China is realizing her great revival, it will become one of the first-class university around the world. More recent modeling suggests that by 2020 China will be unable to supply the 20 million university places needed to meet the demands of its developing economy, and that in the long term the demand for international education in China will far exceed the capacity of the global education industry to provide enrollments. Similarly, in 2015 India will be unable to supply 9 million university places. In 2000, China’s population aged six and above received an average 7.62 years of education. As China now implements a nine-year compulsory education, the figure should rise to 10 years by 2020. Last updated at: (Beijing Time) Friday, January 24, 2003, China will progress from a large to a strong aviation nation by the end of 2020. China's aviation industry is expected to maintain an average annual growth rate of 10 percent, based on its seven percent economic increase. By the end of 2020, China's aviation turnover will reach 84 billion ton kilometers, ranking second in the world, said CAAC Director Yang Yuanyuan at a work meeting. China has been working on a basic social security system for all citizens, including medical insurance, pensions and a system for ensuring a minimum standard of living. By 2020, the coverage rate should reach 100 percent. In 2000, China’s life expectancy was 71.4 years, compared with 59 years for low-income countries, 69 years for medium-income nations and 78 years for high-income powers. The figure in China is expected to reach 75 by 2020. In 2000, China’s criminal cases among 10,000 people stood at 29, and is expected to drop to 15 by 2020. The added value of China’s culture, education, sports and health accounted for only 3.6 percent of the GDP in 2000. Based on the momentum of fast development over the past two years, the ratio should rise to 10 percent by 2020. At present, urban minimum relief line is 6.3 yuan ($0.76) each day per person, and the figure stands at 1.7 yuan ($0.21) in the countryside. By 2020, average daily expense of both urban and rural poor people should not be lower than $0.60, and therefore such population proportion should be reduced to zero by 2020. When the Gini coefficient, which measures income inequality, stands at 0, it means absolute equal income; and at 1, it means absolute income inequality. At present most experts believe China’s Gini figure has topped 0.45. But as China increasingly strengthens its adjustment in income disparity, the Gini coefficient might decline to below 0.4 by 2020. Faced with a rapidly aging society beginning in the 2020s, China may be hard pressed to deal with all the issues linked to such serious demographic problems. It is unlikely to have developed by then the same coping mechanisms—such as sophisticated pension and health-care systems—characteristic of Western societies. Its working-age population will continue to increase well into the 2020s, whereas, due to the one-child policy, China’s will diminish and age quite rapidly. Death in traffic accidents, fire or natural disasters should be used to mirror the government management and capability to deal with crisis. In 2000 the number was 15 per thousand and should drop to 5 per thousand by 2020. The ratio of bribe and misconduct cases to the number of employees in Party and government departments, as well as social groups, should be used as the indicator to evaluate a clean government. In 2000, there were 41 cases among 10,000 employees. This should drop to 10 by 2020. Jackson says, and is expected to grow to $3 billion in 2000, assuming China's entry into the WTO. Jackson claims that by 2020 China could account for a quarter of all U.S. agricultural exports. Scott Rozelle and Jikun Huang, Starting from a 1995 baseline of 85 kilograms, per capita wheat consumption is projected to remain constant over the first fifteen years of the twenty-five-year forecast period. Per capita wheat consumption declines to 82 kilograms in 2020 Total wheat demand continues to increase through 2020 mainly because of population growth. In fact, the most likely scenario is that China’s wheat imports will fall by 2020. China could very well become self-sufficient in wheat within 25 years. According to new figures from market research and training body IGD, China will become the world’s second largest food retail market by 2020 behind the US. IGD forecasts that by 2020 the US will account for 19 per cent of the global food retail market, a decline from 22 per cent in 2003. By contrast, the proportion contributed by China will nearly double during this period, from 8 per cent to 15 per cent. In 2003 the Chinese food market was 35 per cent of the size of the US market; by 2020 this will figure will rise to a considerable 82 per cent. IGD forecasts that by 2020 the US will account for 19 per cent of the global food retail market, a decline from 22 per cent in 2003. By contrast, the proportion contributed by China will nearly double during this period, from 8 per cent to 15 per cent. The report predicts the global food retail market will grow at a compound annual growth rate of 4.8 per cent, to be worth $6,353 billion in 2020. The top five food retail markets in 2020 are predicted to be the US, China, Japan, India and Russia. From 2000 to 2020, China should strive to make breakthroughs in the cultivation of super breeds of rice, corn and wheat , as well as use water, fertilizer and soil resources more efficiently. By 2030, China will have to make breakthroughs in biological technology to sustain agricultural growth. By 2020, China could be the biggest importer of food after Japan. by 2020 China will grow enough wheat to meet domestic demand. Rozelle also said China's feed grain imports should rise to 240 million metric tons (mmt) by 2020 from 117 mmt in 2000, due to rising production of meat, poultry and fish. China has imported about 10 mmt of wheat in recent years - by year 2000, China should import 13 mmt of wheat, says Rozelle. However, China's wheat imports will subsequently fall to zero, by around 2020, when the country will likely grow enough wheat to meet domestic needs. The study concluded that China's imports will rise to record levels over the next decade before stabilizing by 2020. Rising meat consumption in China will drive the increase in grain demand, as China's consumers more than double their consumption of meat, poultry, and fish from 17 kilograms per capita in 1991 to 43 kilograms per capita in 2020. Meanwhile, the amount of grain consumed directly as food will decrease, with per capita consumption of rice falling by more than 10 percent from now to 2020. By the authors calculations, feedgrain for animals will account for 38 percent of China's grain demand by 2020, up from 20 percent in 1991. The average annual per capita income is $4,000, three times higher than the rest of China, and the Shanghai economy is expected to grow at more than 7 percent per year through 2020. Shanghai city planners project a quadrupling of cars and trucks in the city by 2020. Instead, these scenarios are meant to estimate likely upper and lower bounds of greenhouse gas emissions from Shanghai transport in 2020, taking as given the projected strong economic growth. If the economy grows more slowly, emissions will likely be lower than the scenarios indicate. The rapid motorization scenario is based on the projected quadrupling of cars by 2020, coupled with a substantial increase in population. By 2020, that will increase to 35% city-wide and 50% in the Central Business District. 2005; that will increase to 6.5 million by 2020. Metro lines and Regional Express lines linking new towns to the city. that to 12 million by 2020. Conversion of non-motor traffic lanes to bus-only lanes in selected areas. and medium distance travel in the city. Replacing 8,000 buses and retrofitting existing buses for clean energy usage. Moving long-haul hubs out of Center City and connecting them with city transit system. up to 300,000 by 2020. City air quality to meet National Standard Grade B. By 2020, the Chamdo Prefecture is scheduled to have a road network totaling 11,554 km. By 2020, average technological levels in China might be roughly comparable to those in Taiwan and South Korea today. While China's overall military technology in 2020 can be expected to be significantly inferior to that of the United States, China is likely to develop niche capabilities in certain military technologies. The 2005 DIAF installation Beijing Boom Towers presents a model showing 6 hectares of the capital in 2020. China and India are large producers, will increase steadily through 2020. The highlight is a scale model bigger than a basketball court of the entire metropolis -- every skyscraper, house, lane, factory, dock, and patch of green space -- in the year 2020. In 2020 it may seem to China that it would be worth it to have a very bloody battle in which a lot of their young men could die in some glorious cause," says Ms. Hudson, a professor of political science at Brigham Young University. it is estimated that before 2020, China will have the largest online population over other countries (Cullen and Choy, 1999). Based on these facts, therefore, the Chinese government attempts to protect the country’s future leaders and one of its ways is by regulating the Internet. By 2020, China intends to upgrade its international standards involvement to an advanced level, putting China high in the ranking of international standardization contributors. if current trends hold, by 2020 China is likely to emerge as a formidable multidimensional regional power as it continues to trade quantity for quality, increase defense spending, pursue innovation, and mature its industrial base. Perspectives on State Socialism in China (Armonk, NY: M.E. Sharpe, 1997) and, with Michel Oksenberg, China Towards 2020: Social Change and Political Uncertainties (Boulder, CO: Rowman & Littlefield). His research interests include Sino-Soviet/Russian relations, communications, and mass media in China. On this basis, Schipper posited three scenarios, the most likely of which is that by 2020 China will have 180 million vehicles, exclusive of trucks. Trucks could add an additional 30 percent more vehicles for a total of 234 million vehicles. Schipper's scenario would mean that by 2020, China would have the same order of magnitude of vehicles as the United States, on a land mass of approximately the same size. By 2020 China and the US will be at least 70% dependent on the Middle East, with major foreign policy implications. The scientific consensus is that worldwide oil production has reached mid-point. Beginning in 2015, construction of a small permanent Moon base would begin. The objective would be for a self-sufficient lunar base to be in operation by 2020. This would be a bridgehead for construction of a network of solar power generating plants. China is expected to link almost every households' telephones, including those in its vast rural areas, by 2020, the Ministry of Information Industry has said. China's share of world trade will account for 10% of the world's trade by the year 2020 and that China will become the world's second largest trading nation after the United States. According to China’s Ministry of Commerce, the country will become the second largest importer worldwide in 2020. By 2020, China might produce 3.65 million barrels per day but will likely require more than twice that to meet its needs. "The proportion of middle class in China will expand to 45 percent in 2020 from today's 5 percent," it quoted Cheng Xuebing, an official with the bureau, as saying. At the same time, the "Report" boldly projects that by 2020, China's military expenses will have increased in real terms three to four times. 4. it is estimated that before 2020, China will have the largest online population over other countries (Cullen and Choy, 1999). Based on these facts, therefore, the Chinese government attempts to protect the country’s future leaders and one of its ways is by regulating the Internet. 6. August 16, 2004 Every Chinese family will have a telephone, fixed-line or mobile, by 2020, according to a plan recently unveiled by the Ministry of Information Industry. 7. China is expected to link almost every households' telephones, including those in its vast rural areas, by 2020, the Ministry of Information Industry has said. 10. August 16, 2004 Every Chinese family will have a telephone, fixed-line or mobile, by 2020, according to a plan recently unveiled by the Ministry of Information Industry.